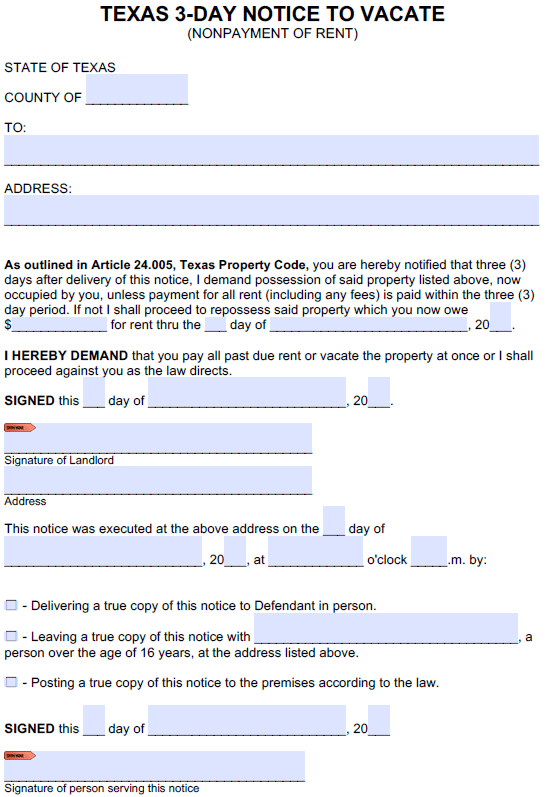 The Texas three (3) day notice to pay or quit can be served on a tenant who has failed to pay rent in accordance with their lease agreement. The tenant is given three (3) days to either pay the past due amount or move out of the rental property. Failure on the tenant’s part to rectify the situation gives the landlord the right to seek legal action, resulting in a forcible detainer suit filed with the justice court.